Now it's not very often that the guys get a mention on here, but with wedding season coming up, now is the time that you chaps (or your other halves who might be reading) might want to start looking for the perfect suit. And it's not always an easy mission trying to find Plus Size Men's Suits, so when SuitsMen got in touch, I thought it might be nice to share some of my top picks from their site for a bit of suit inspo. 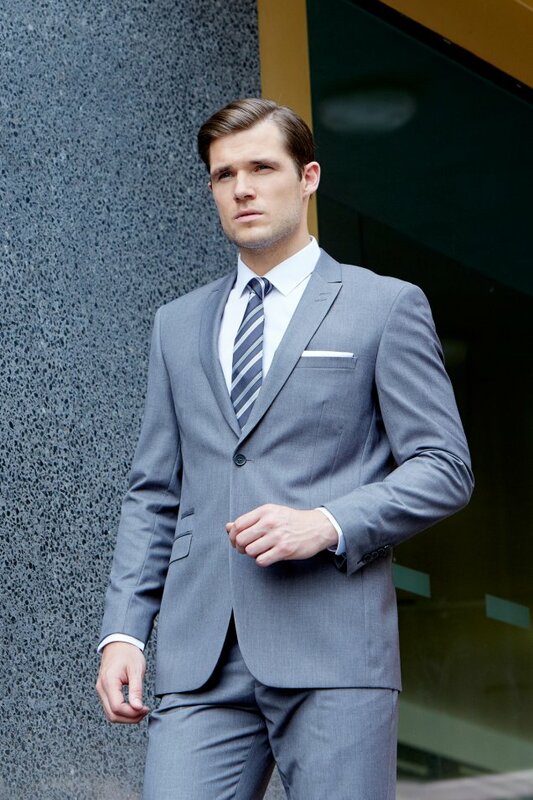 The simple lines on this classic grey suit give it a modern edge, the single breasted style and sleek pockets give this suit a really stylish edge. Team with tan shoes for a more relaxed, modern look. 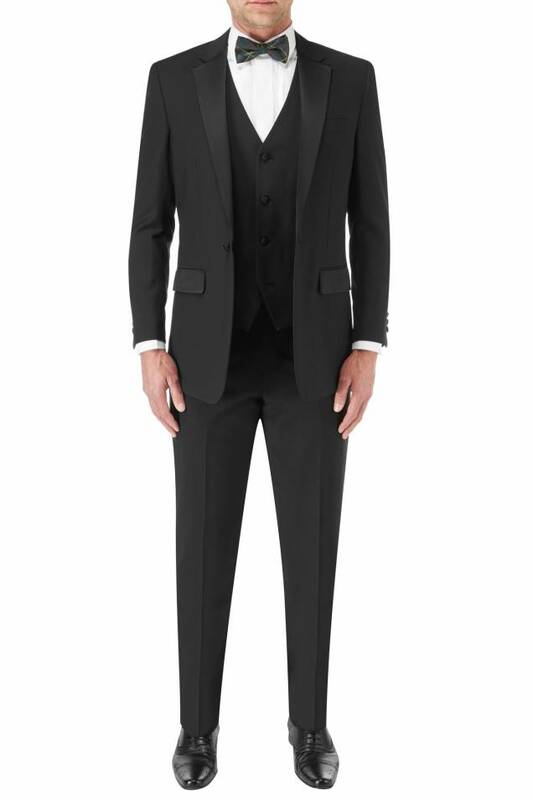 If you have a black tie event coming up, then finding a classic dinner jacket look can be hard if you're above a certain size; but fear not, this Dinner Suit goes right up to a 58" chest and 54" waist. Keep the shoes classically black, and go the full hog with cufflinks and bow tie! 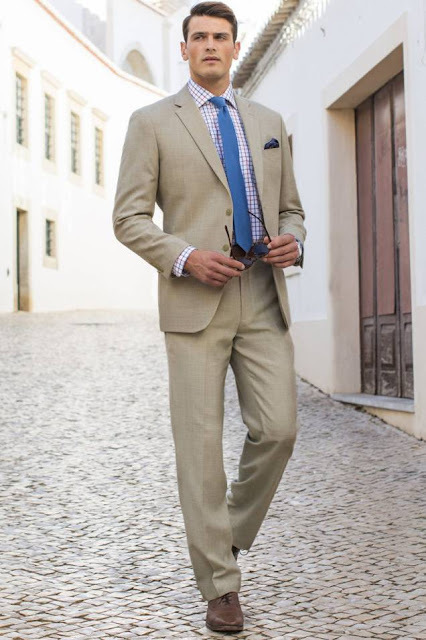 For a lighter, fresher summer look, this gorgeous suit in a sand tone is perfect. It's going to be great for summer weddings and functions, weddings abroad or even just for changing things up at the office over the warmer months. All of the suits in the larger size section come in large chest and waist sizes, with different leg and jacket lengths to accommodate different heights and builds. There's a wonderful variety of styles, fabrics and colours, and the site is easy to use and clear, you can filter your search by chest/waist size, style, colour etc. Exchanges and refunds are free for UK customers and the site also carries a selection of accessories to finish your outfit perfectly! Would you guys like more style posts? Let me know in the comments. I may even be able to rope the other half into doing some modelling!